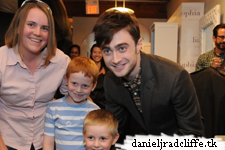 Daniel attended day 4 of the Toronto International Film Festival (TIFF) yesterday where he was promoting The F Word and posed with some fans at the IT lounge from NKPR. You can also see a little bit of Dan here in their video. Update: 24th March 2017. A portrait (link via this site's Facebook page) has been uploaded by Caitlin Cronenberg. I assume it's taken at the NKPR IT lounge. 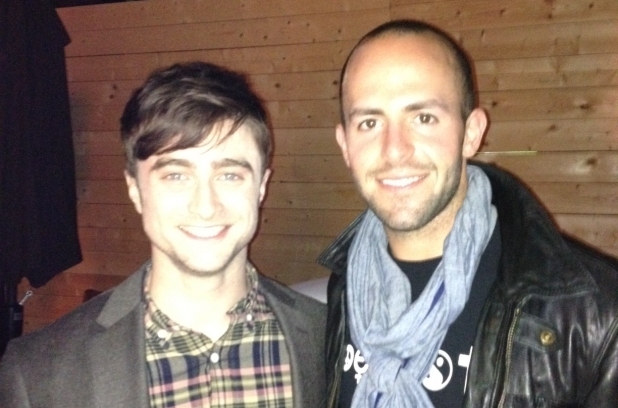 Reporter Julian Brass from metronews.ca did hang out with Dan at the Pop up Party at Brassaii during TIFF. The photo on their site has been deleted, so I have uploaded it. 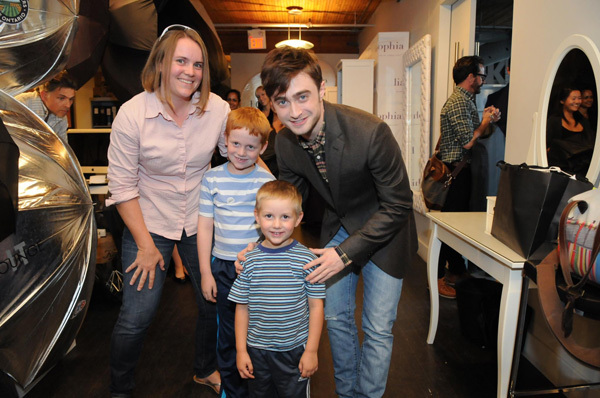 Daniel Radcliffe (Harry Potter!) 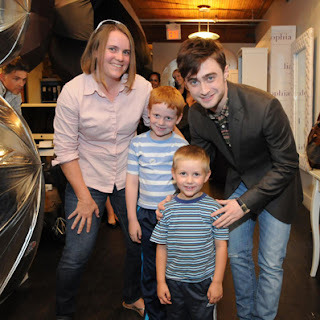 posed for a cause with renowned photographer Caitlin Cronenberg, at NKPR's IT Lounge, who captured some magical shots. Entertainment One has sold the The F Word to Germany, Russia, Latin America and the Benelux. Coming out of the Toronto International Film Festival, the Canadian distributor said the rom-com sold to Telepool in Germany, Russian distributor Carmen, Sun Distribution in Latin America and eOne in the Benelux. Other sales included The F Word going to Turkey’s Mars Concept, Frontrow in the Middle East and India’s Pictureworks.